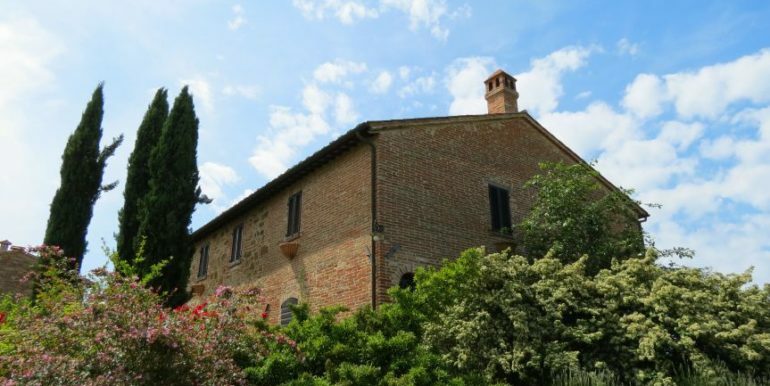 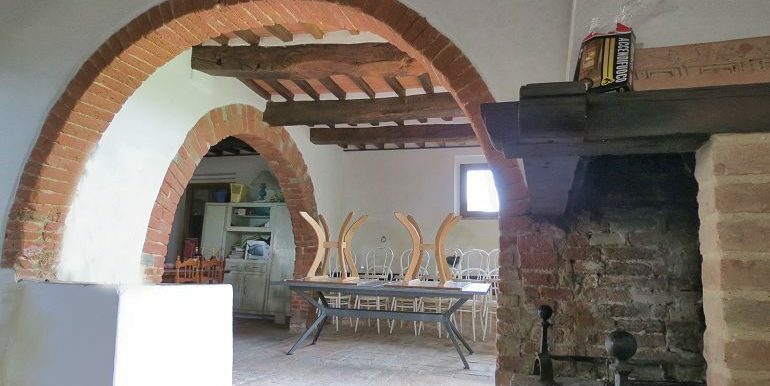 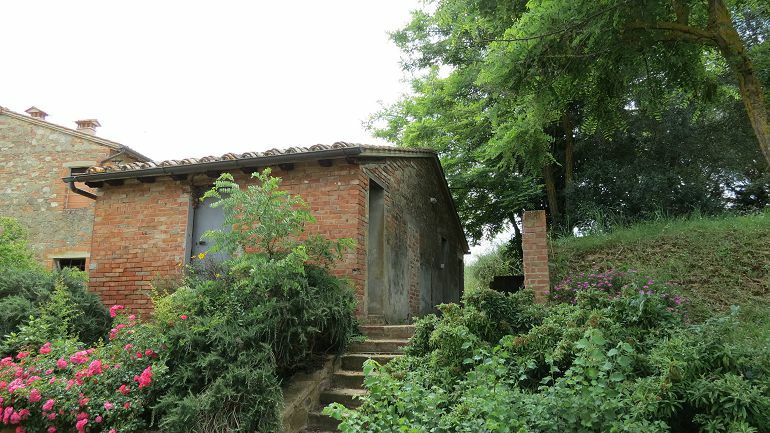 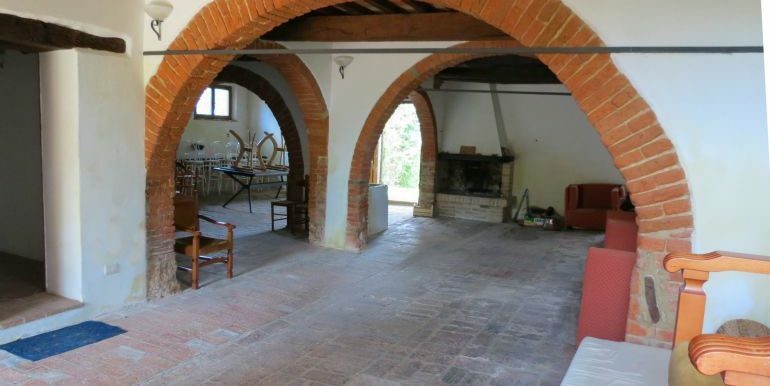 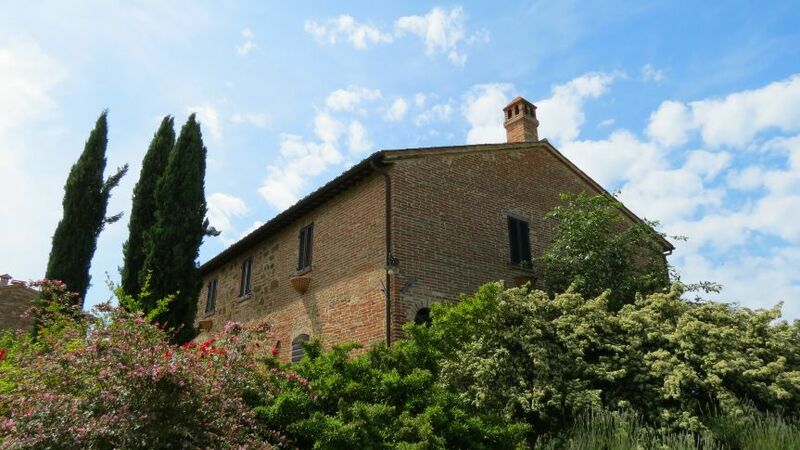 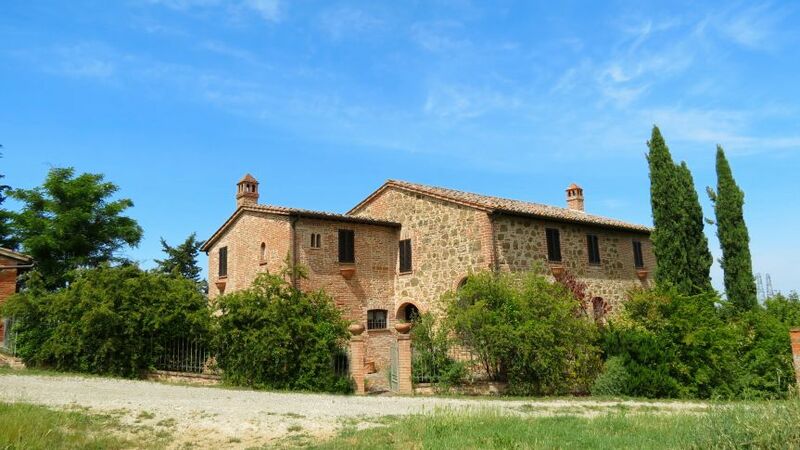 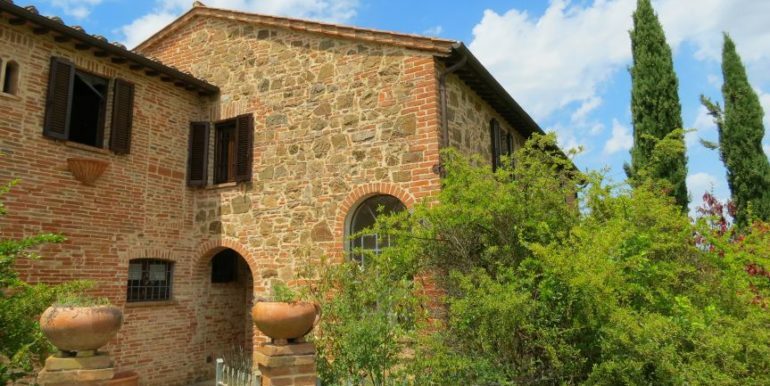 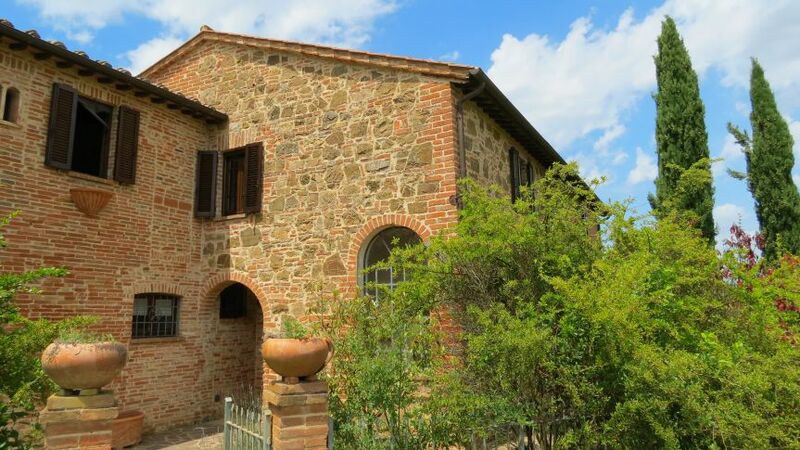 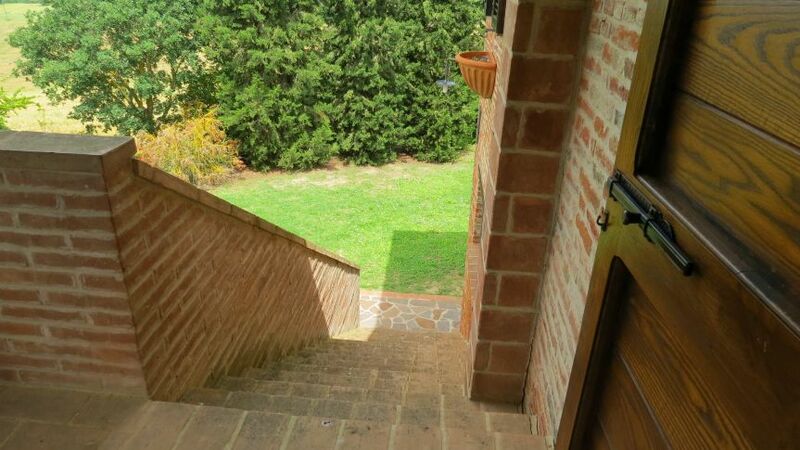 Villa Lake of Chiusi is situated in the hills surrounding Lake of Chiusi, it is a beautiful villa built in stone and bricks over two floors, each of them of about 200 square meters with a fenced garden of about 1,000 square meters. 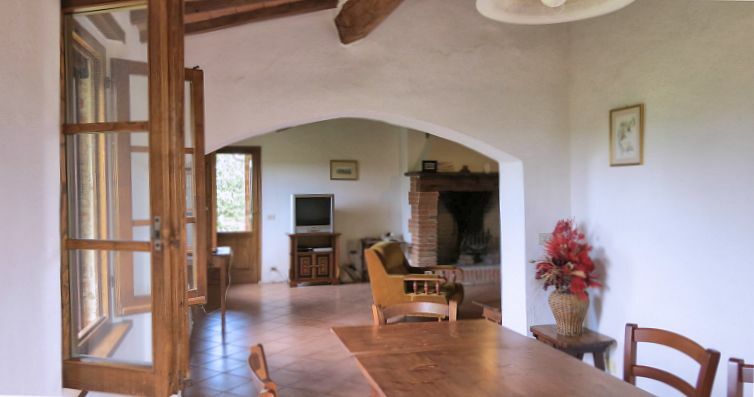 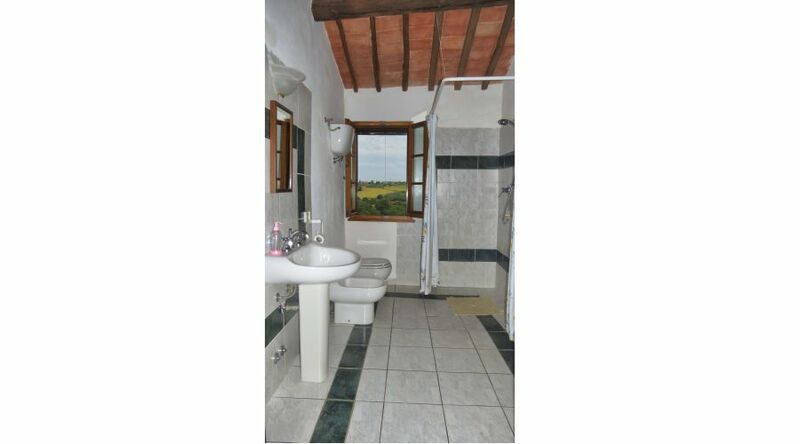 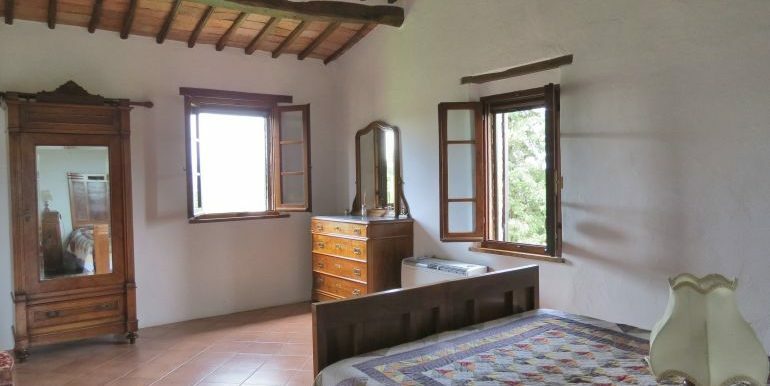 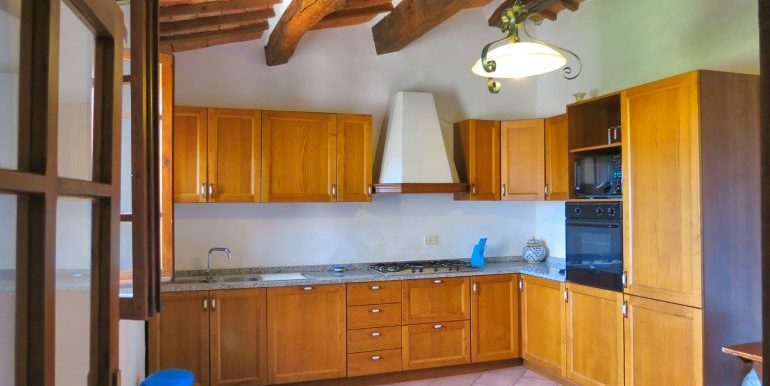 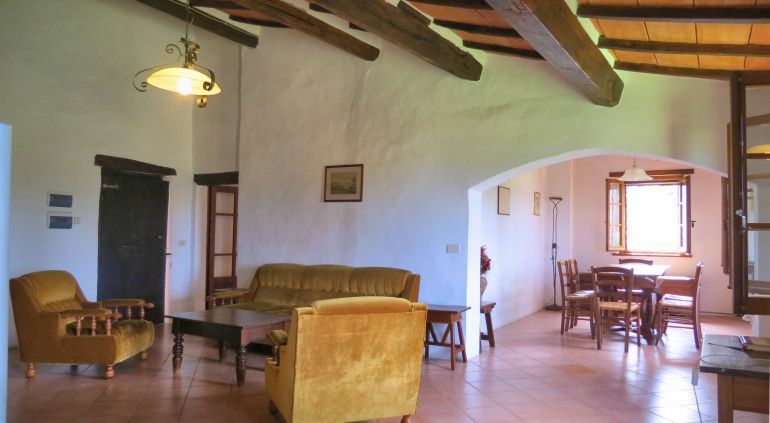 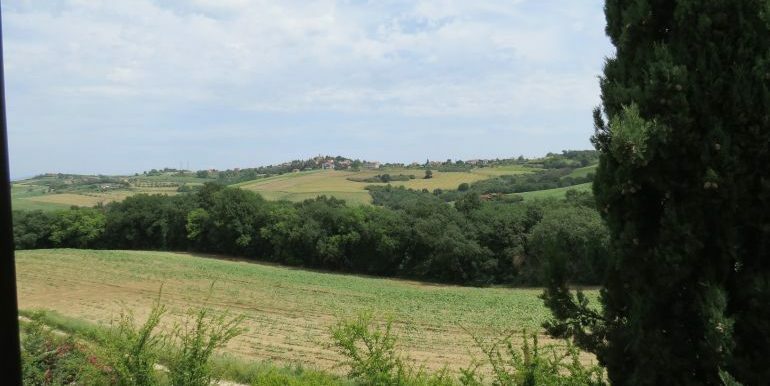 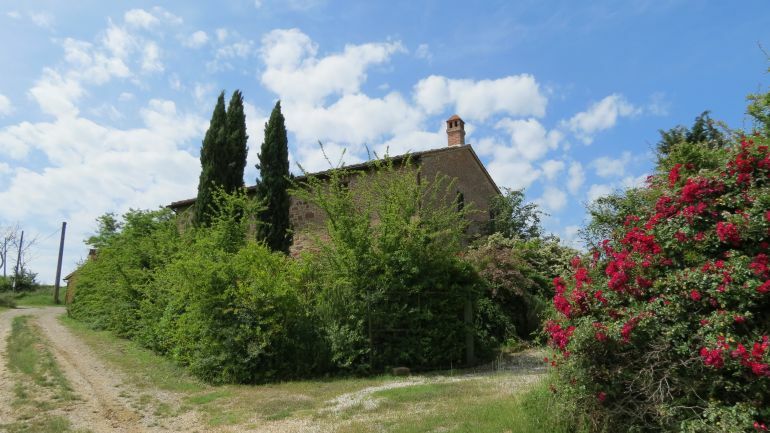 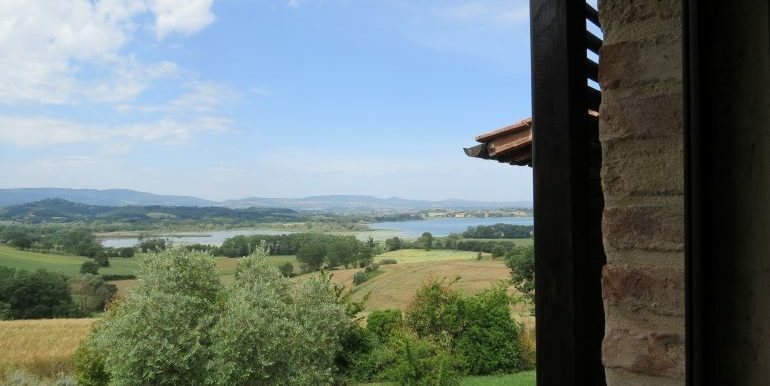 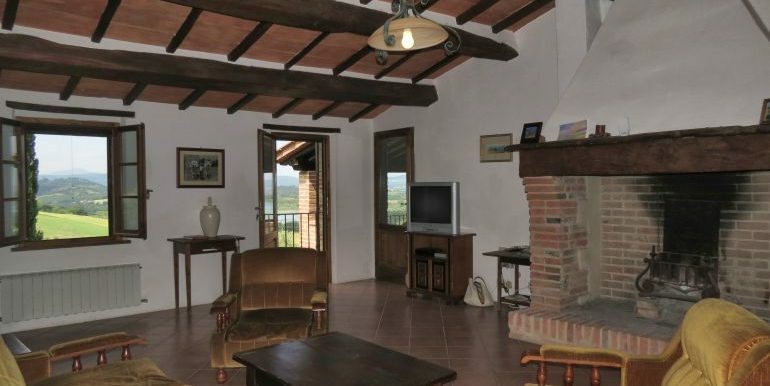 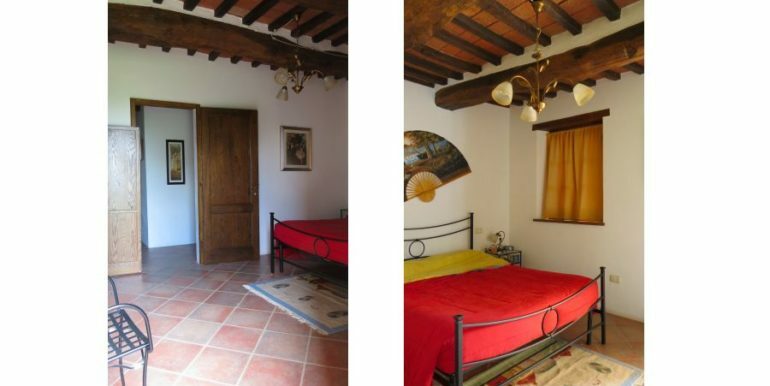 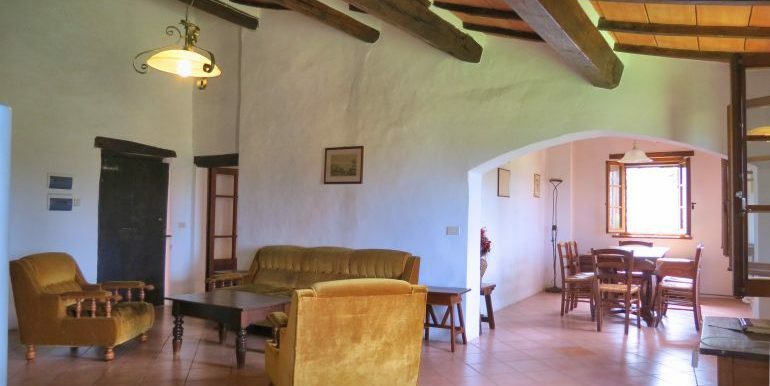 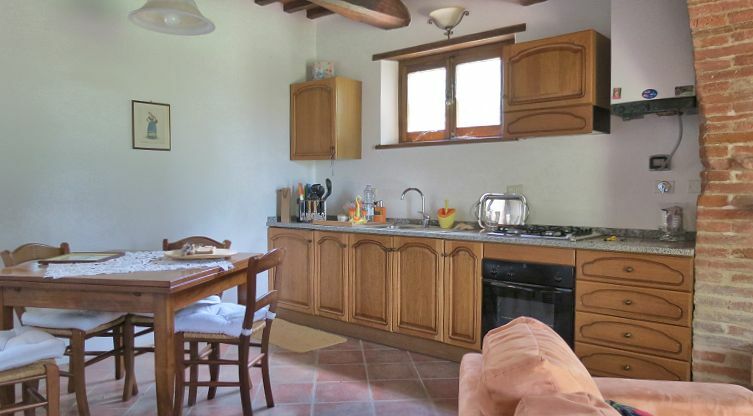 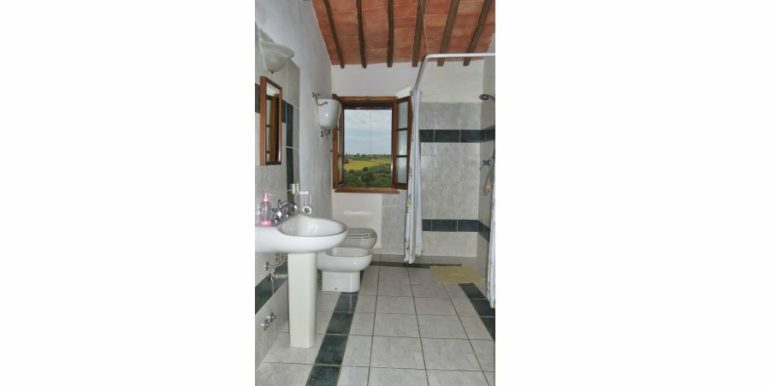 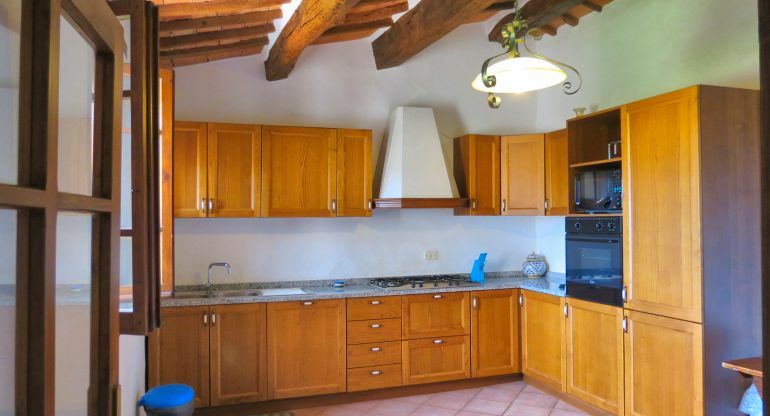 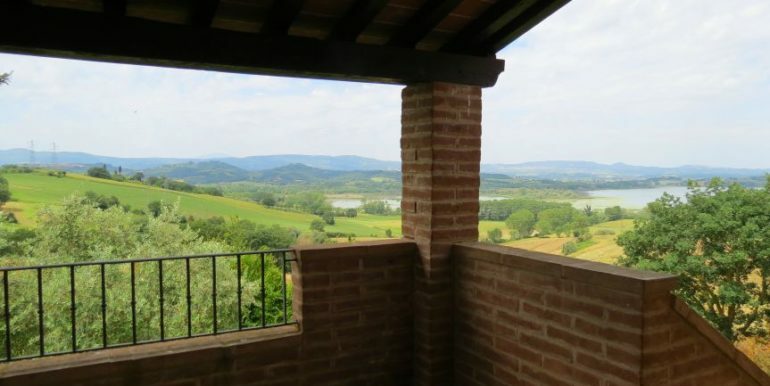 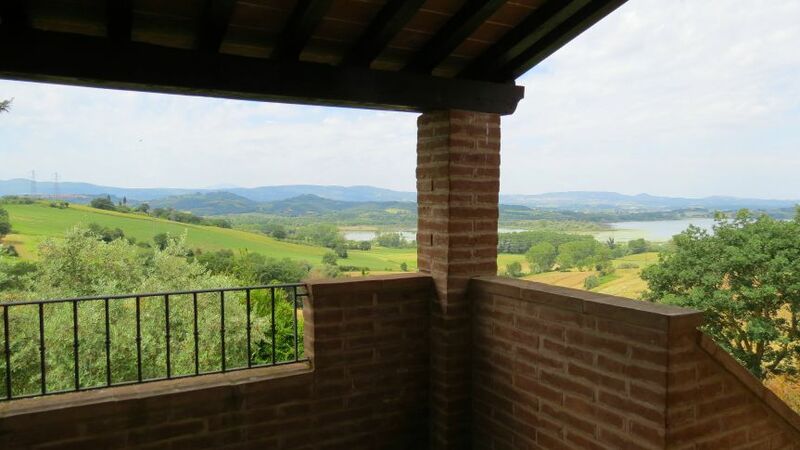 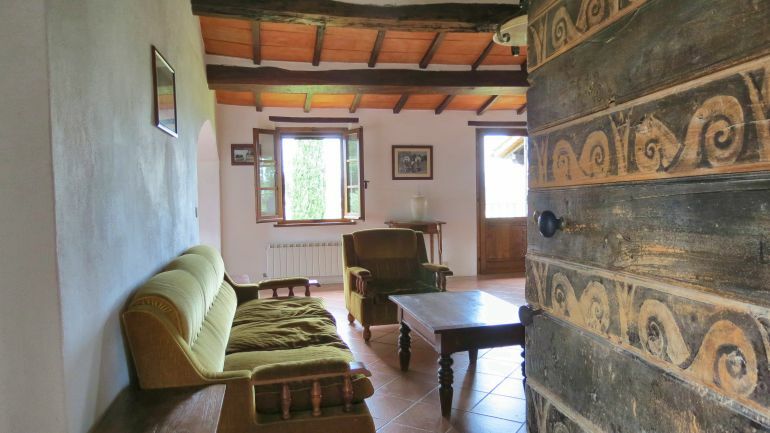 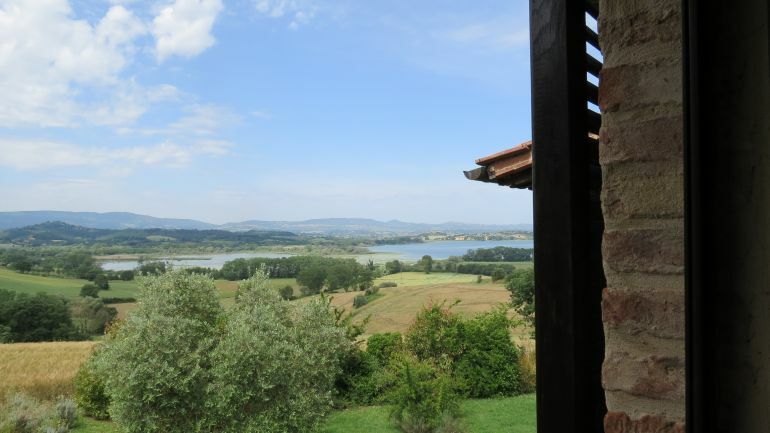 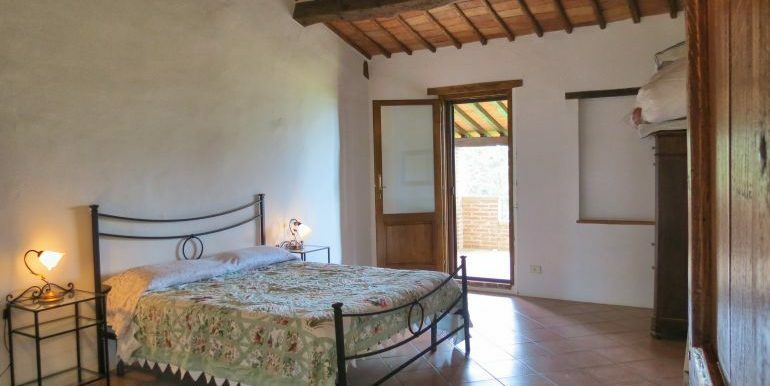 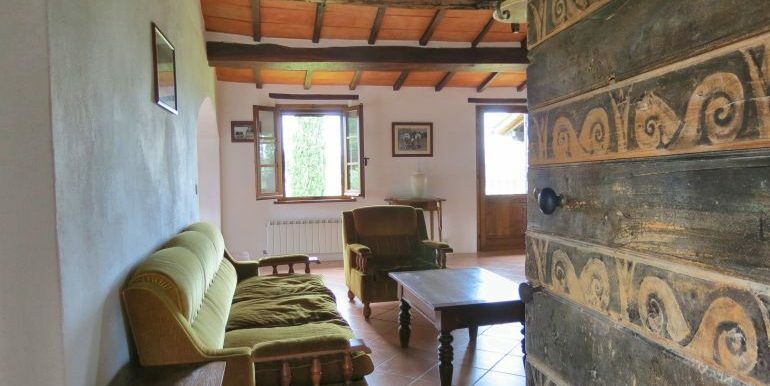 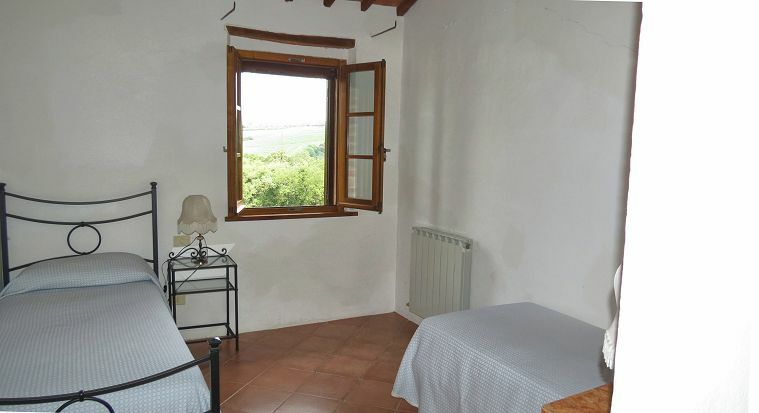 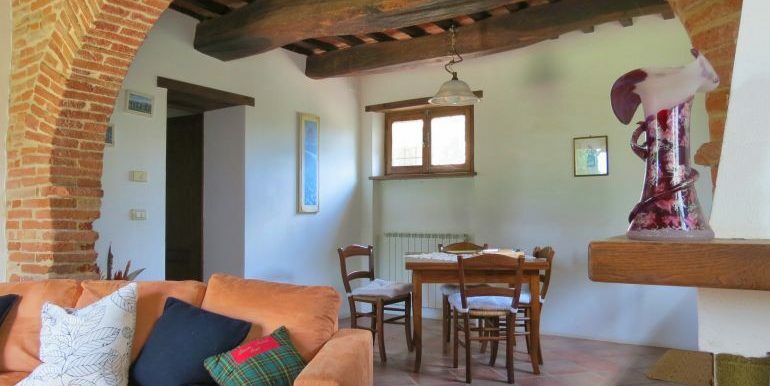 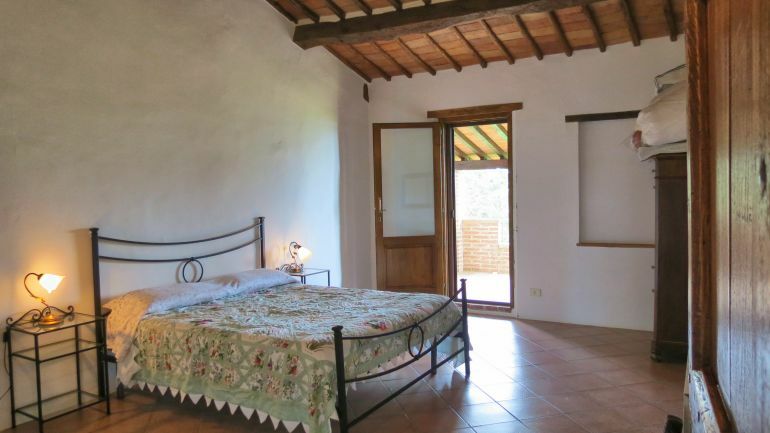 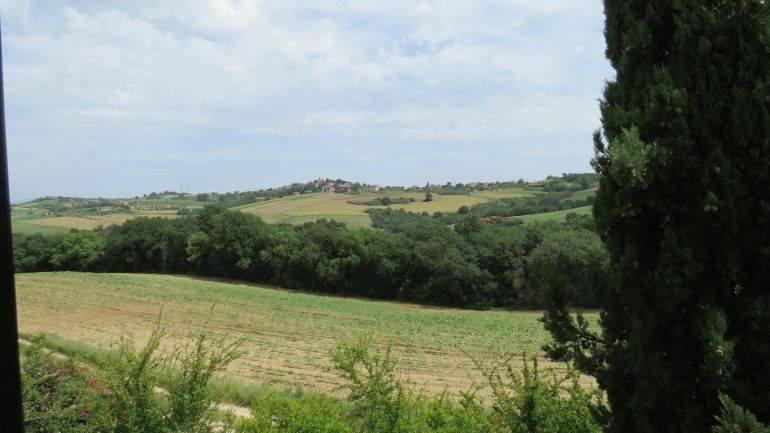 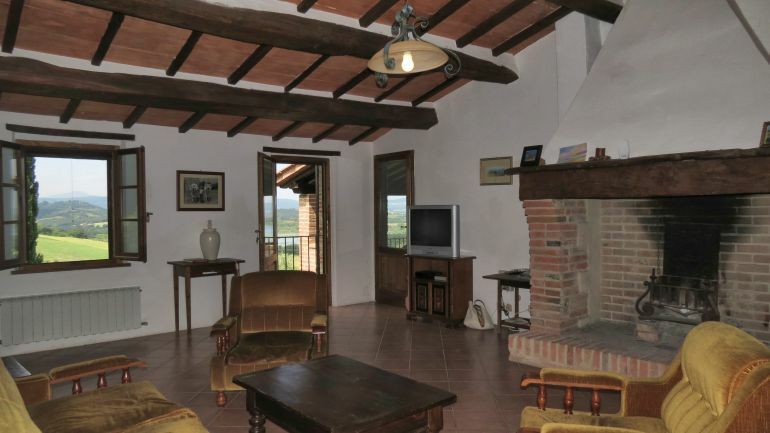 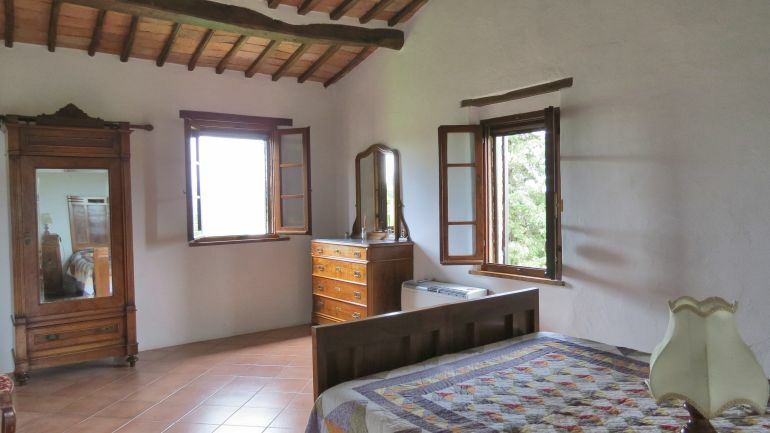 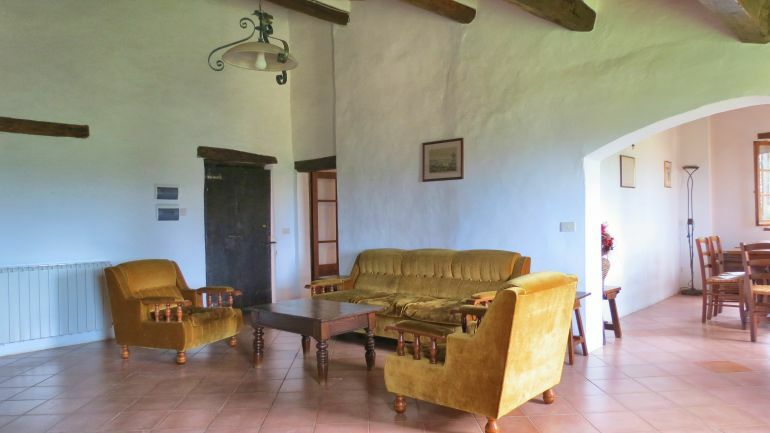 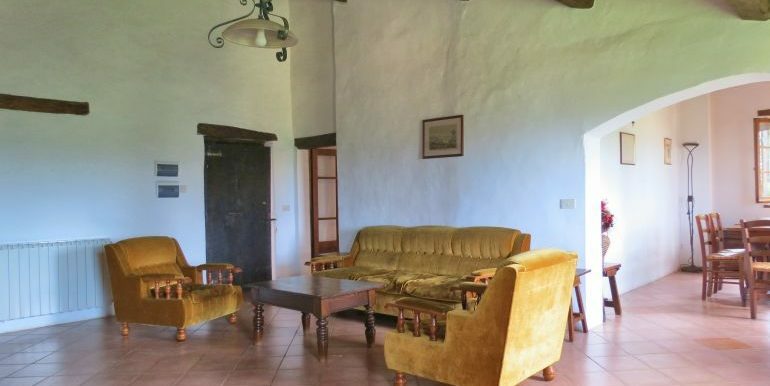 The stunning view from the farmhouse on Lake Chiusi is wonderful, as it is the surrounding countryside characterized by rolling hills and olive groves, vines and fields with sunflowers. 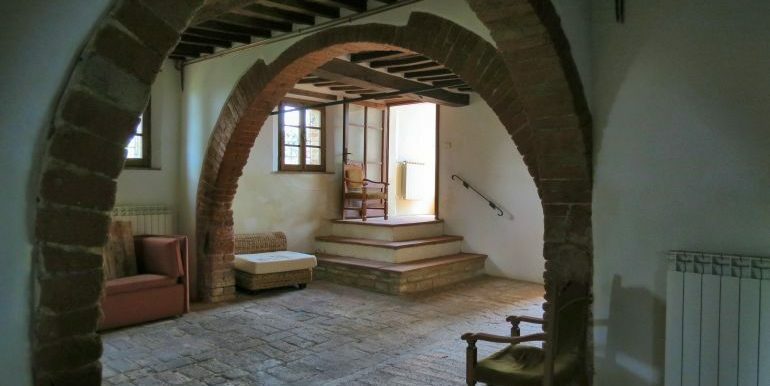 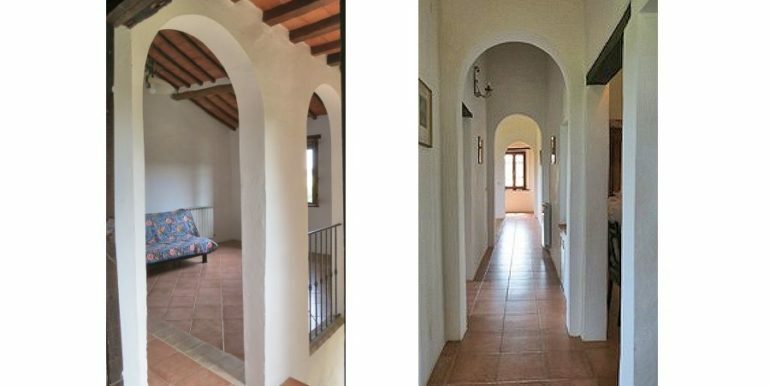 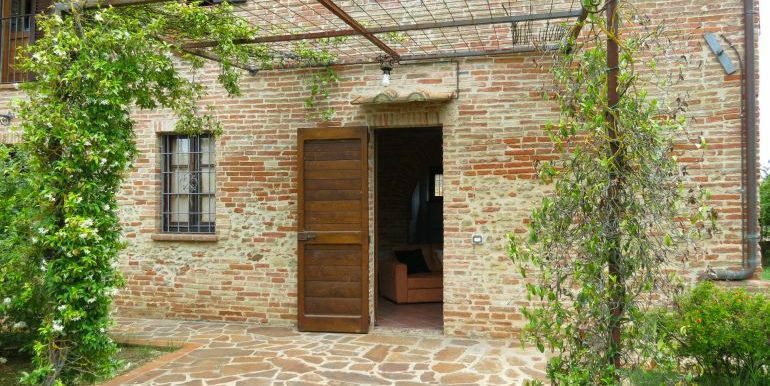 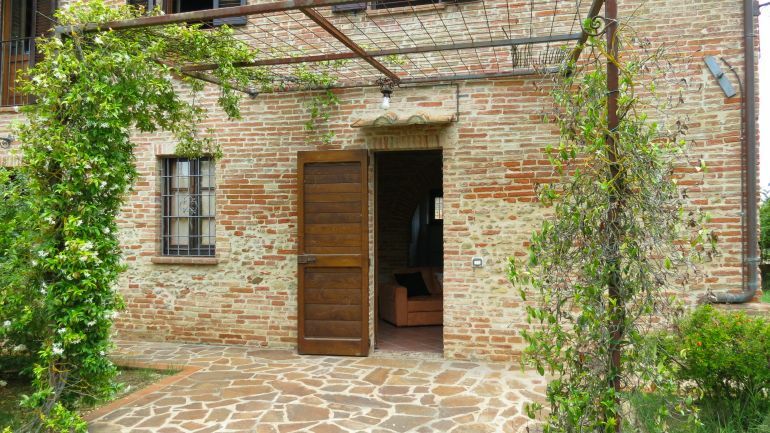 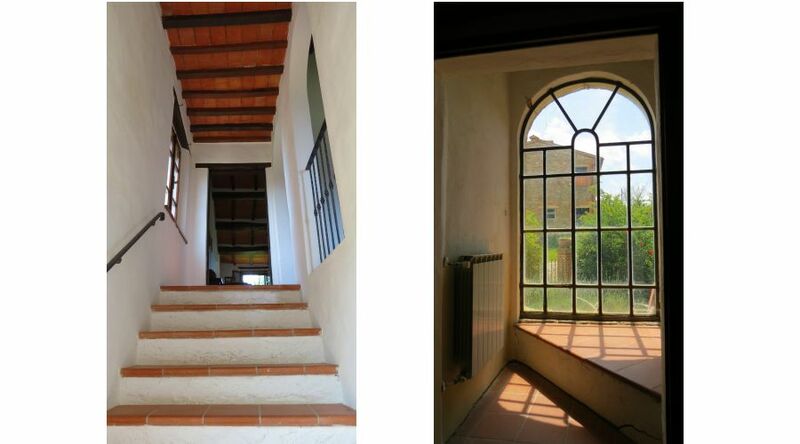 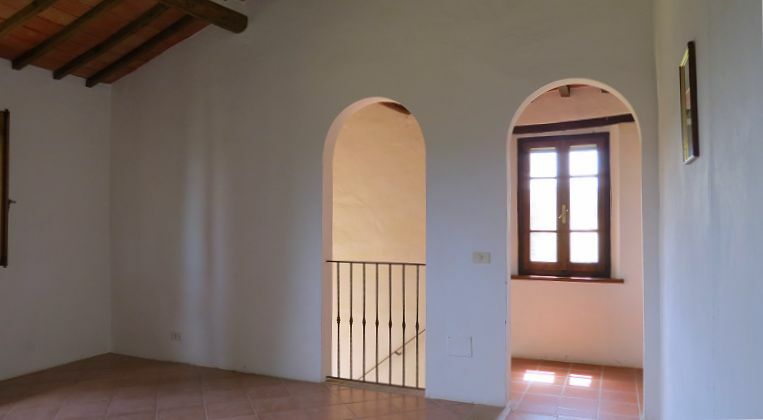 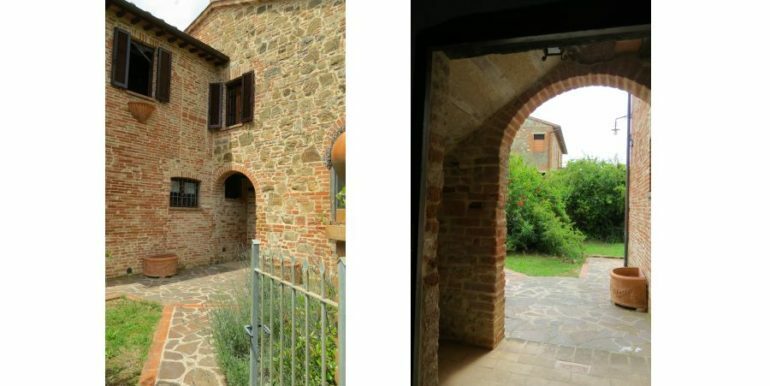 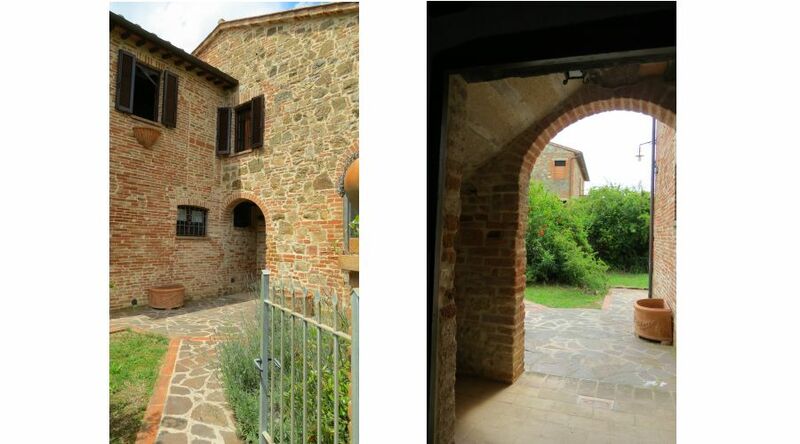 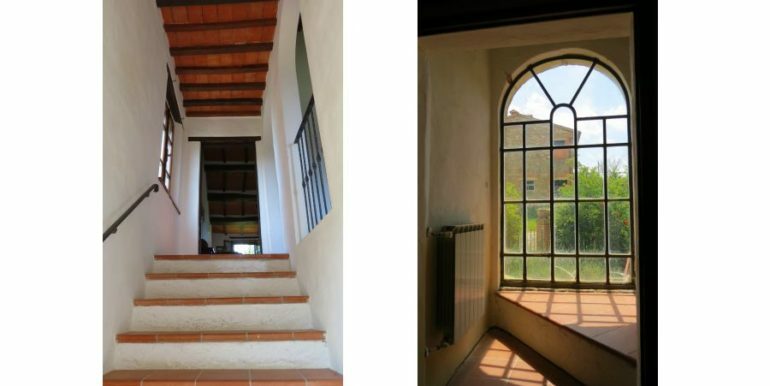 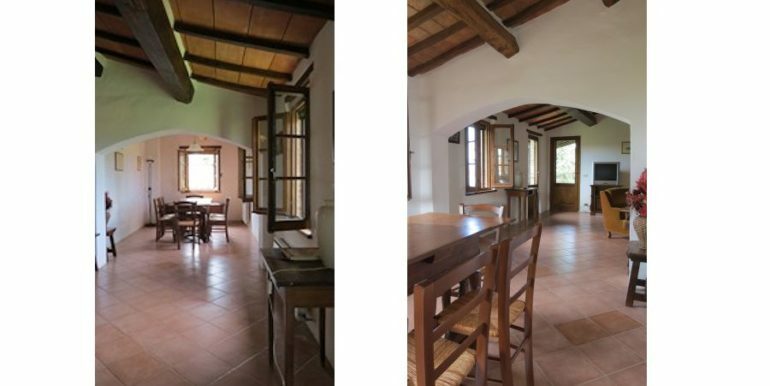 In addition to the formal entrance by a charming path you can also access the house through a panoramic external staircase with a loggia. 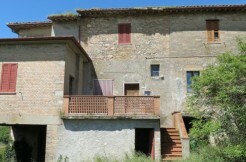 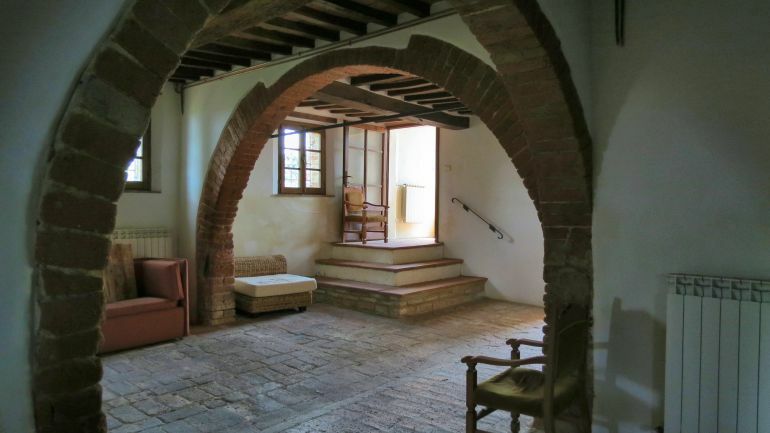 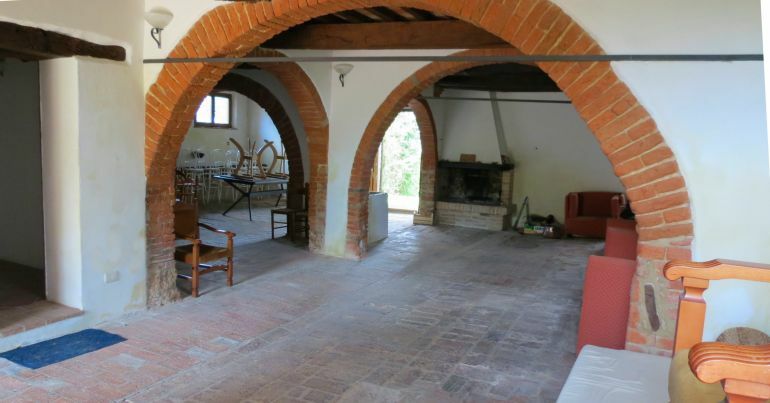 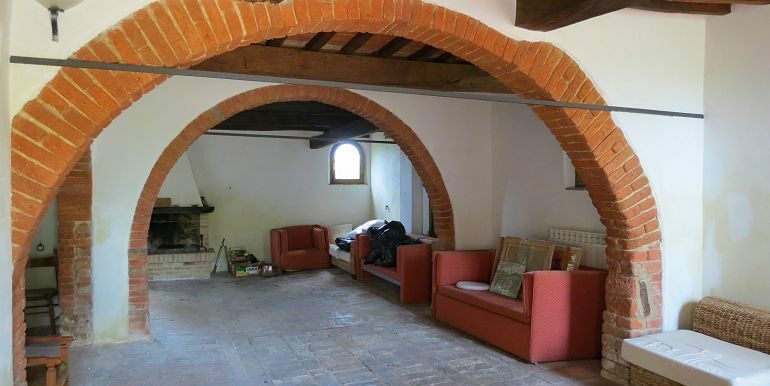 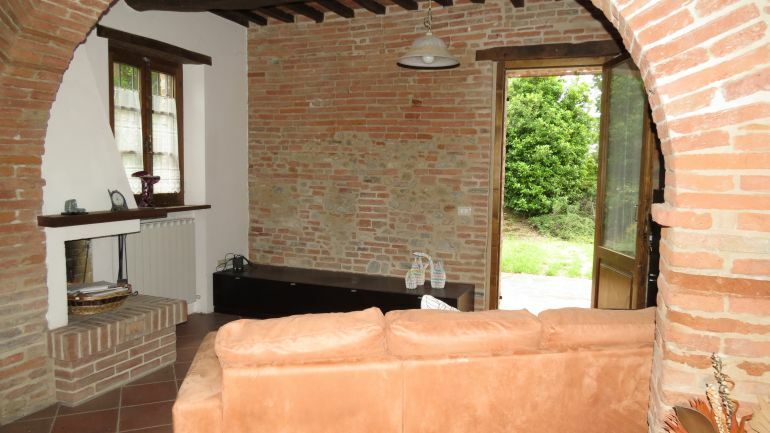 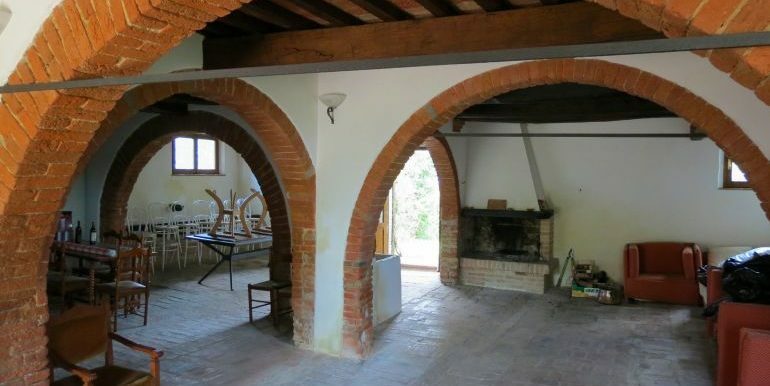 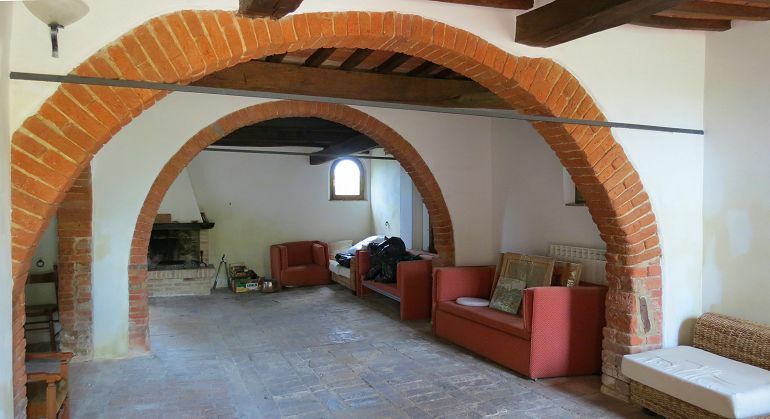 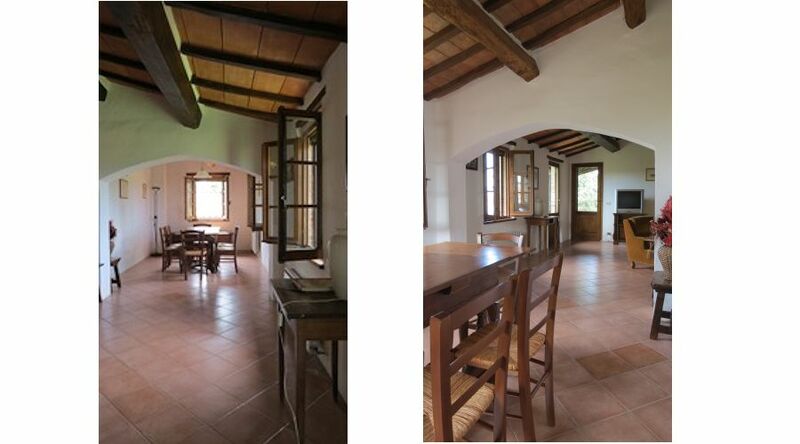 The first floor consists of a living room, a dining room with a large fireplace and a kitchen. 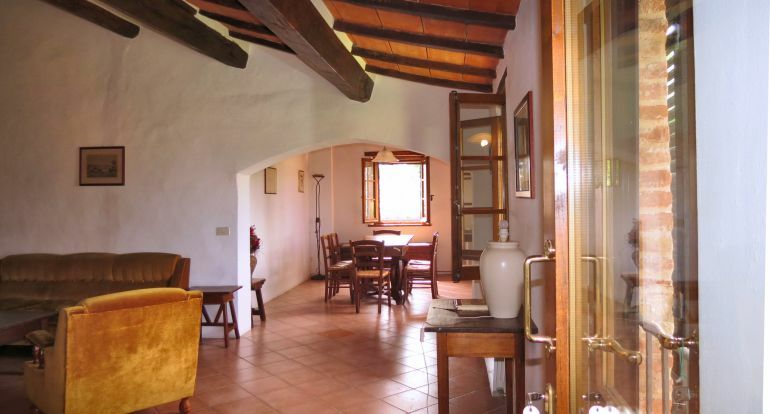 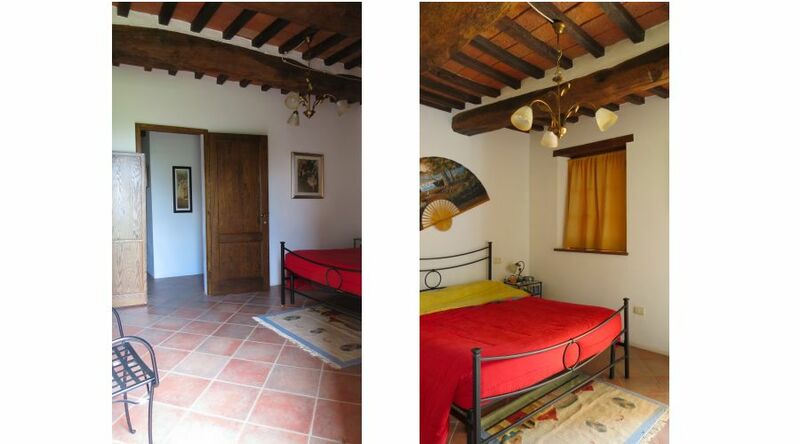 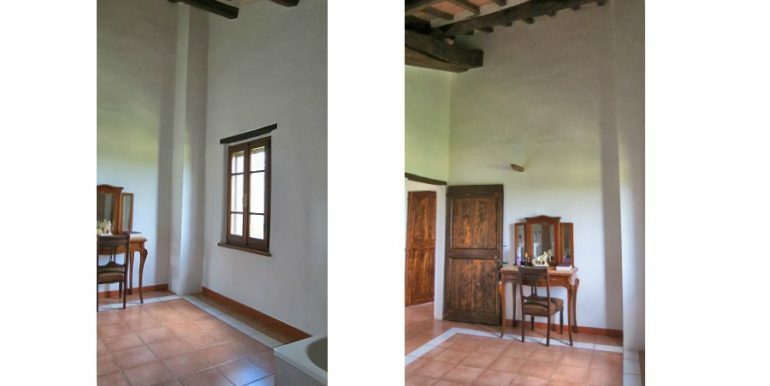 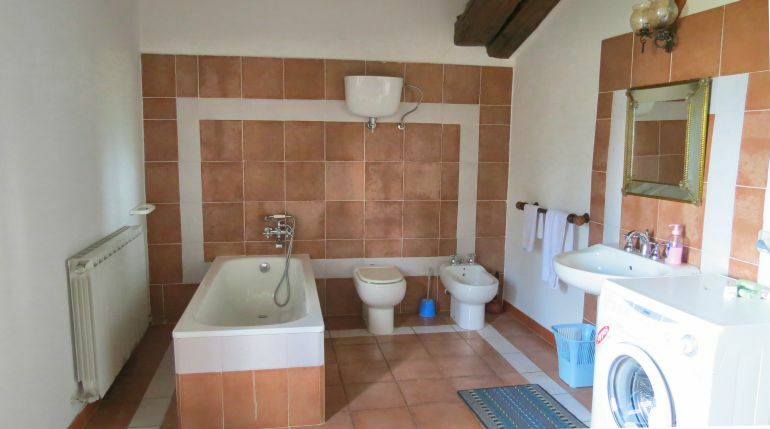 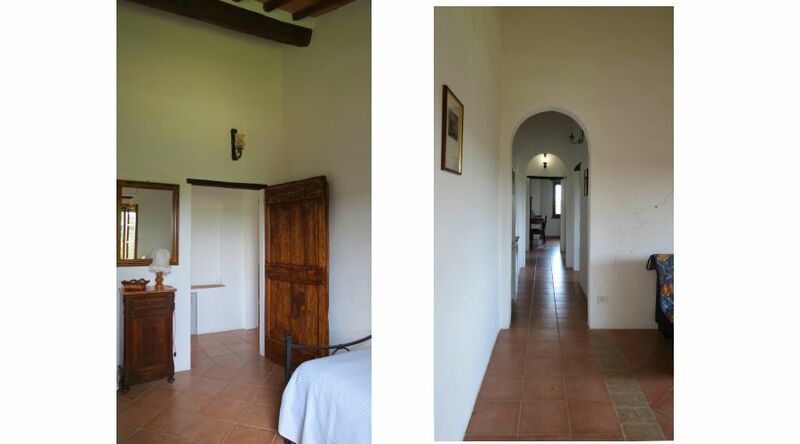 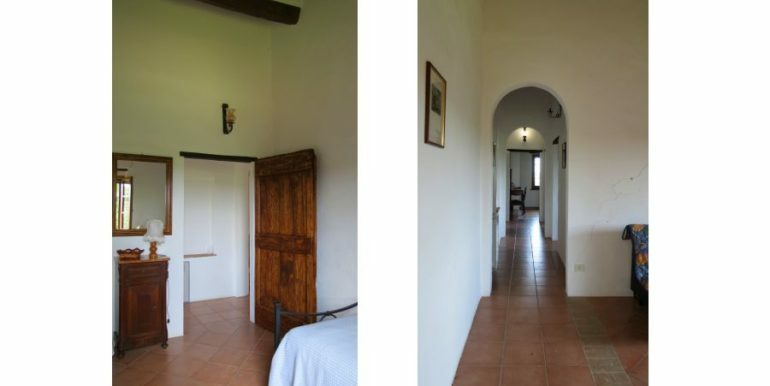 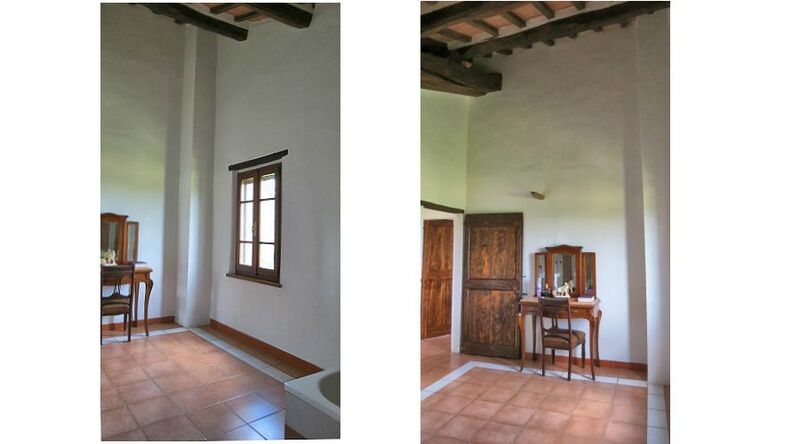 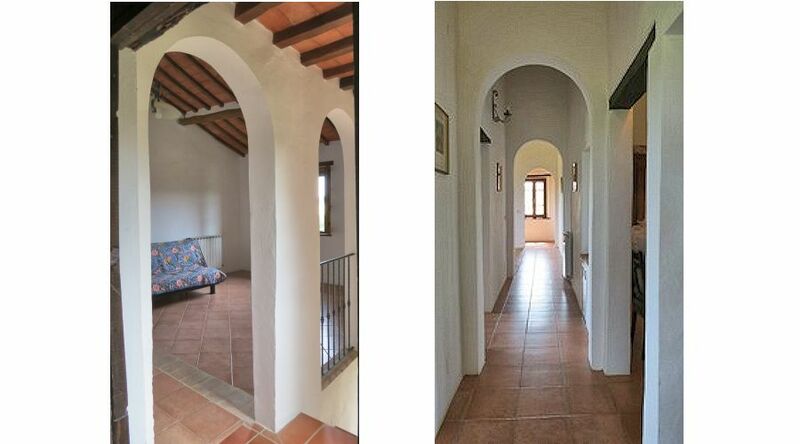 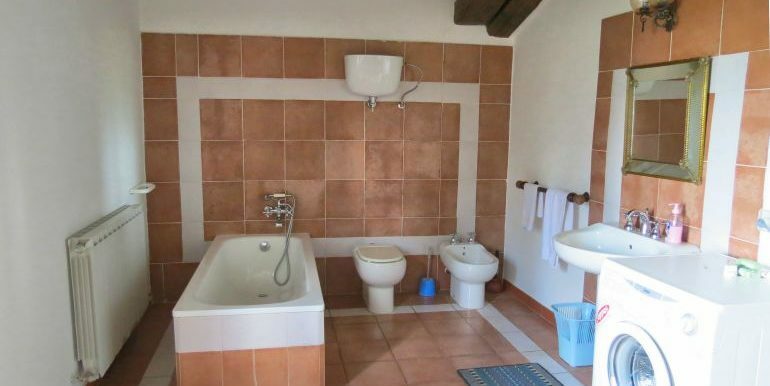 Through a corridor you reach a large hallway, two bathrooms and three bedrooms. 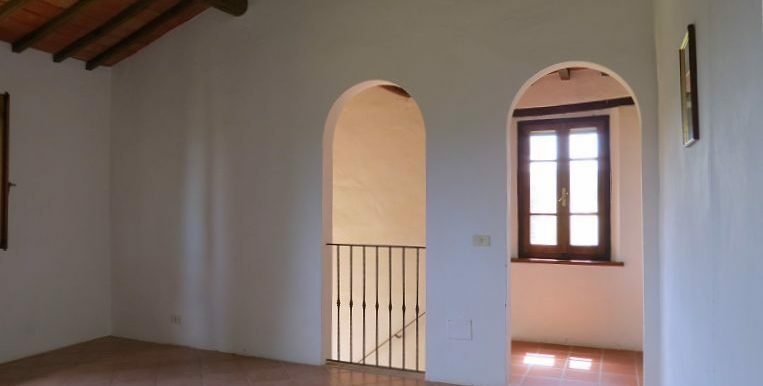 Through an internal staircase you reach the ground floor (also accessible from various doors on the ground floor) where there is a large living room and a separate apartment with kitchen, living room and bedroom. 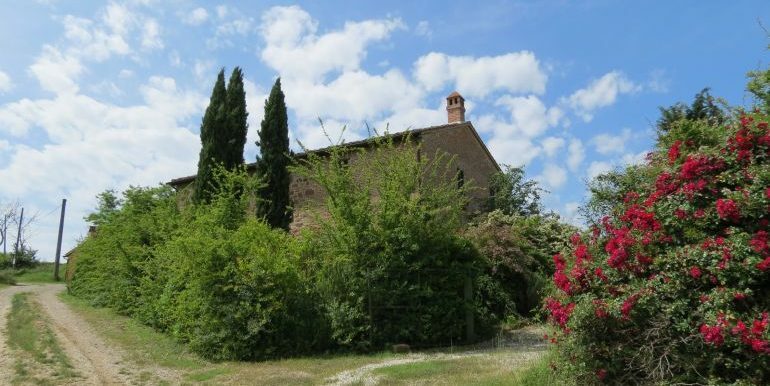 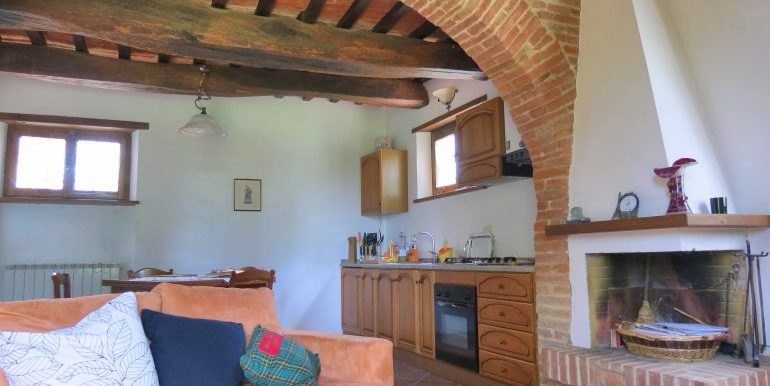 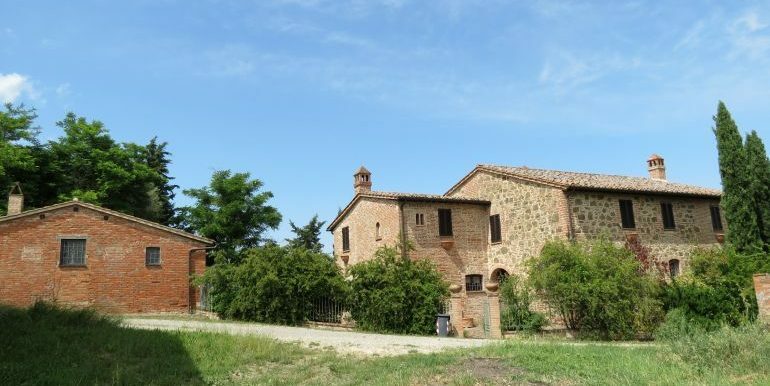 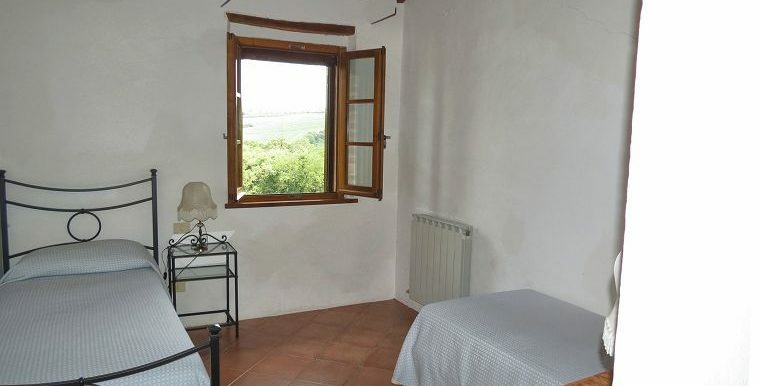 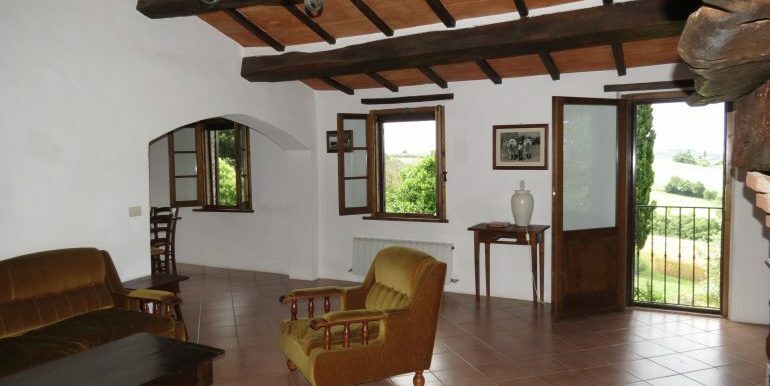 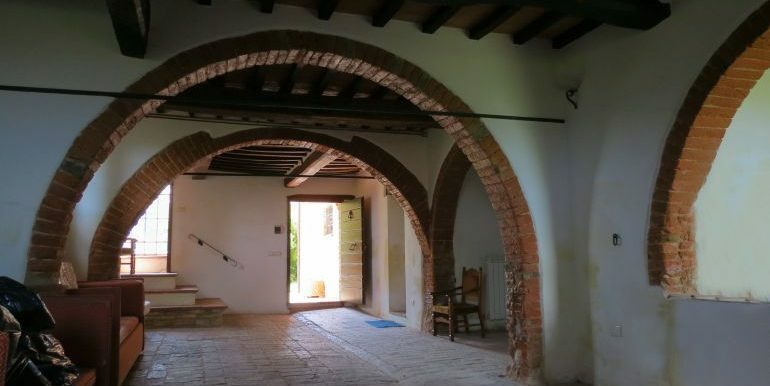 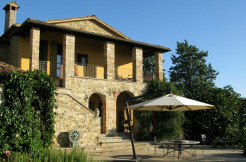 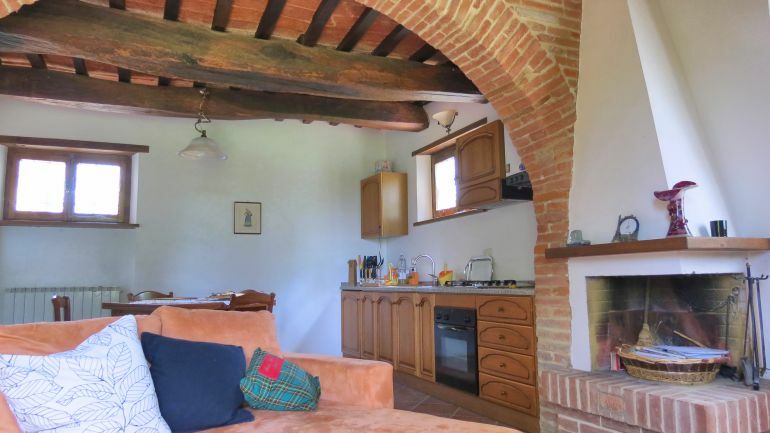 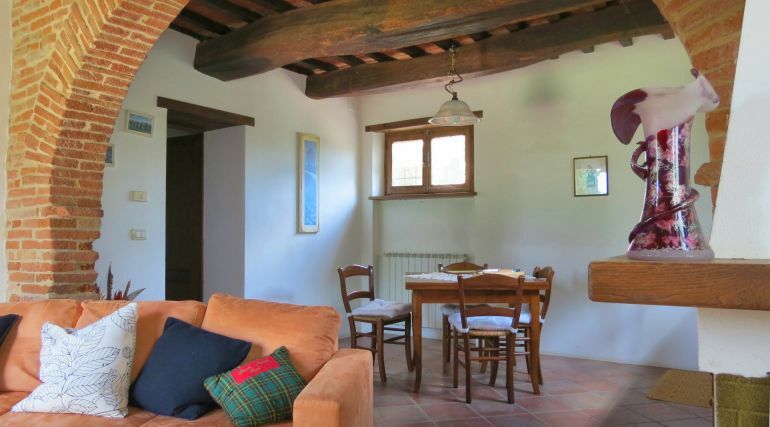 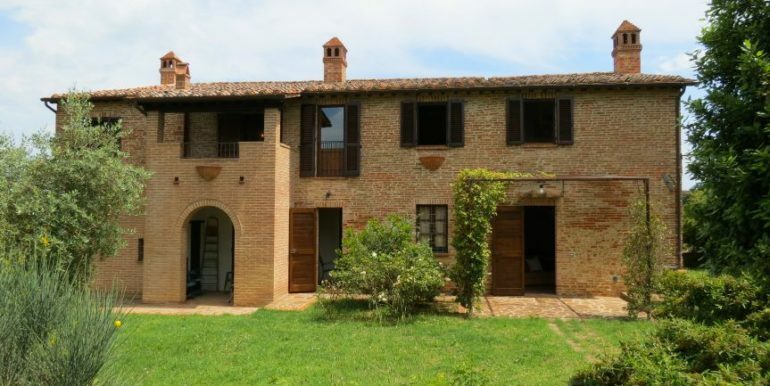 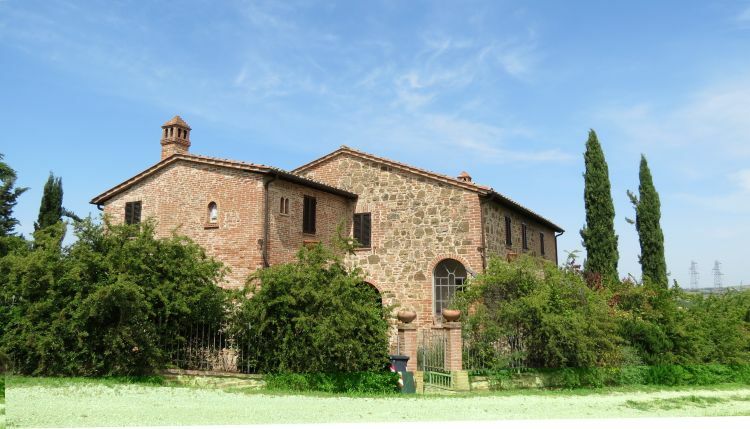 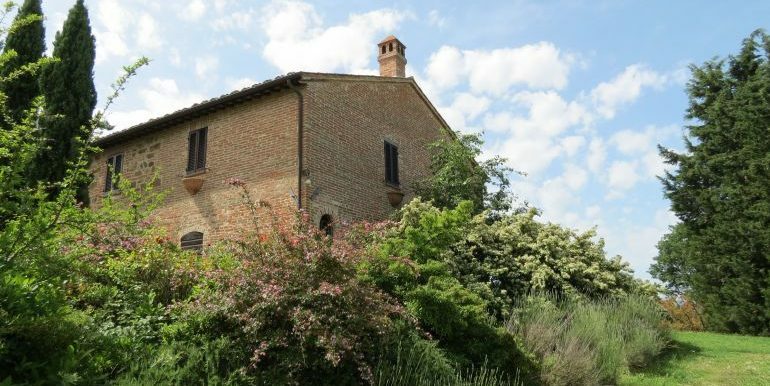 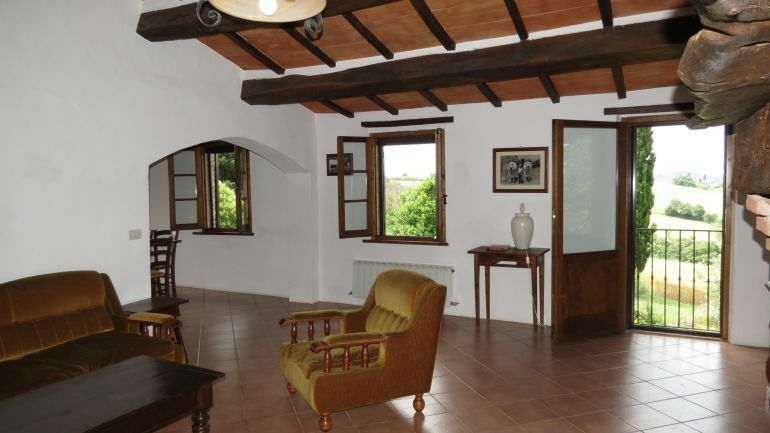 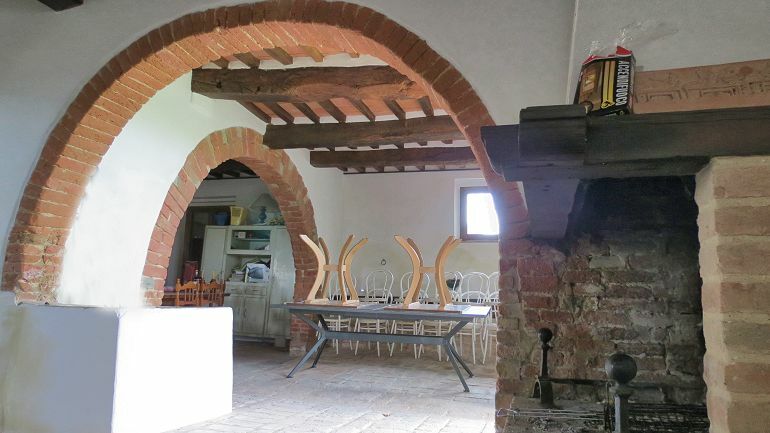 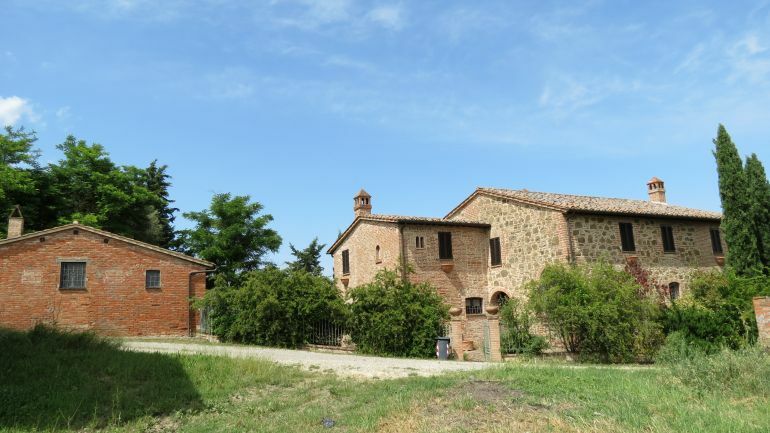 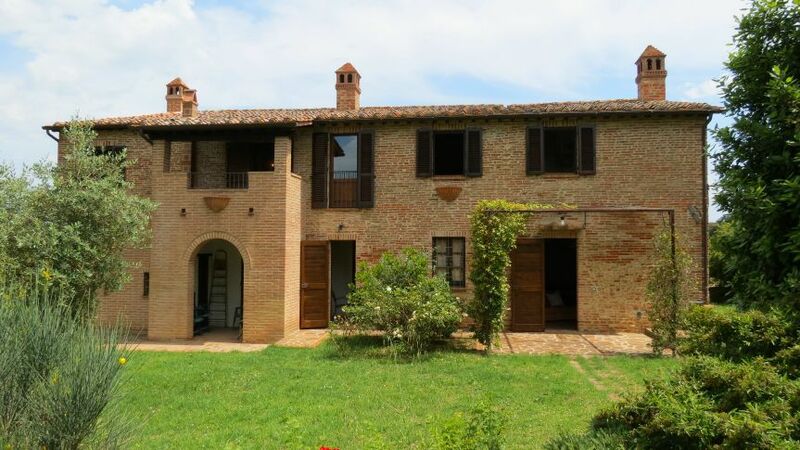 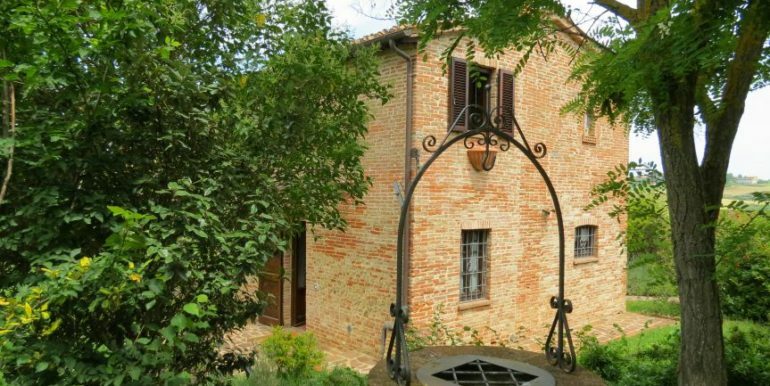 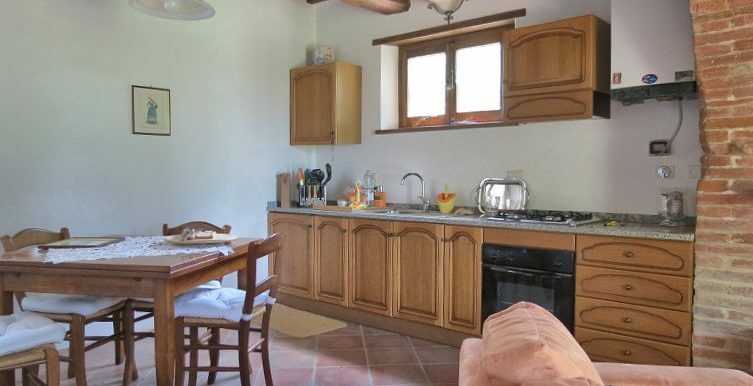 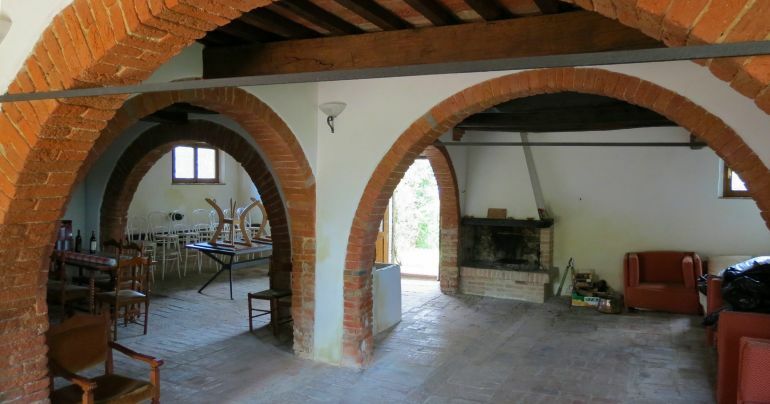 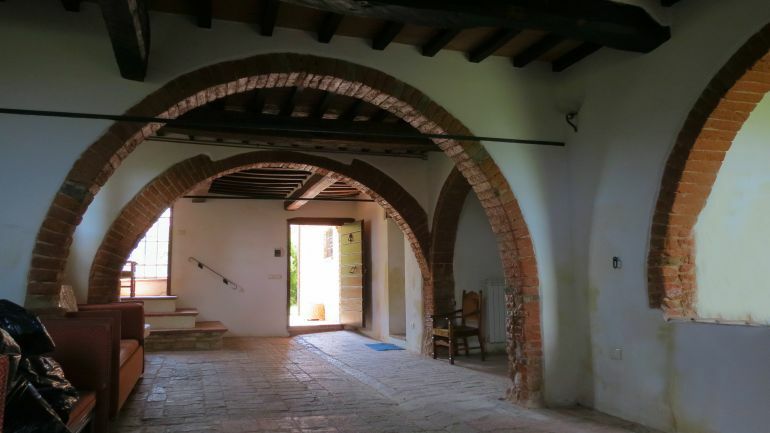 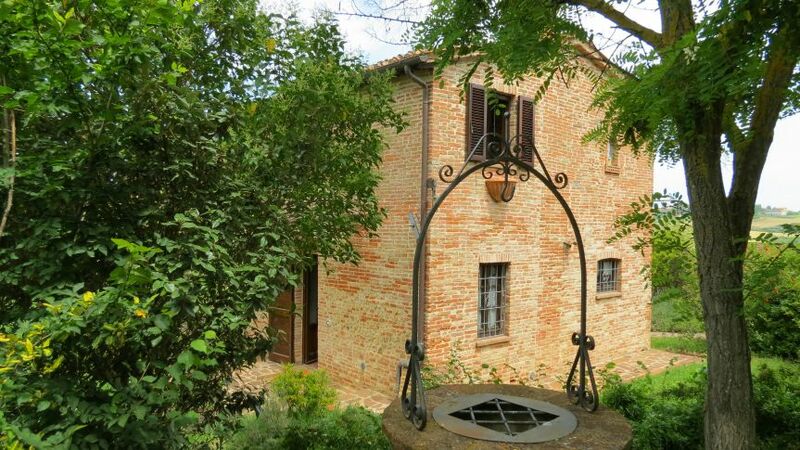 The well-kept and fenced garden is surrounded by fields and bordered by a white road that leads to the asphalt road to reach Chiusi or Villastrada. 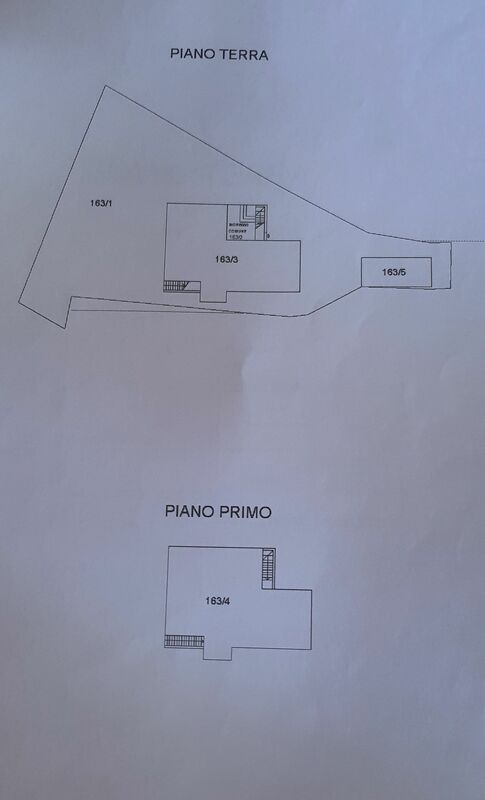 There is space to build a swimming pool. 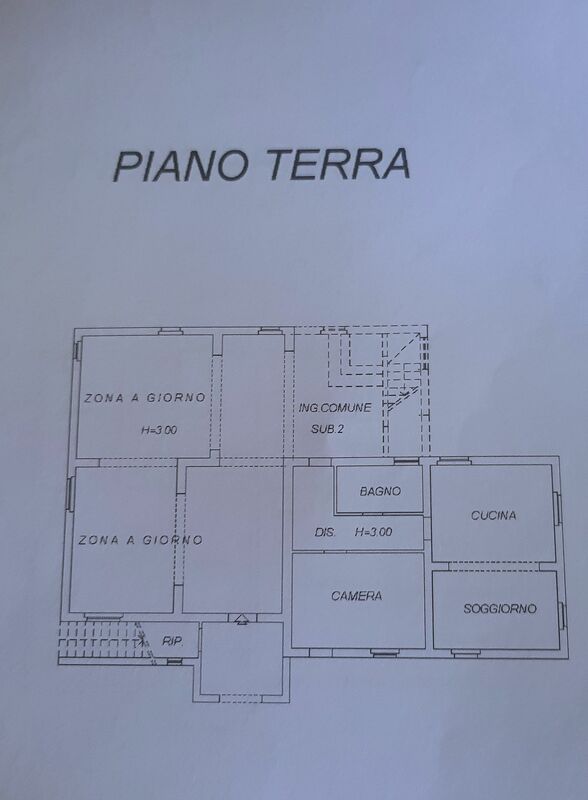 There is an annex. 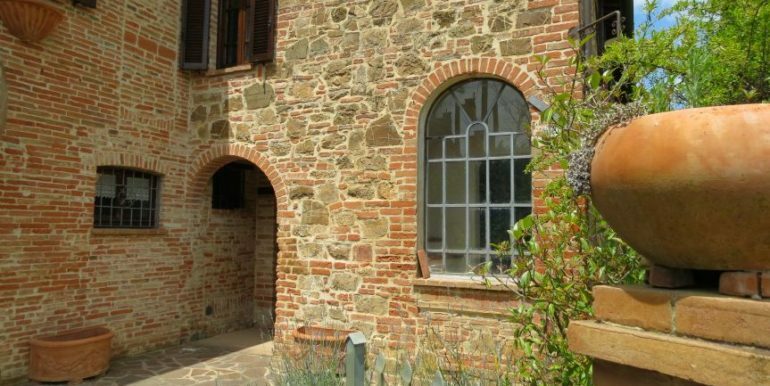 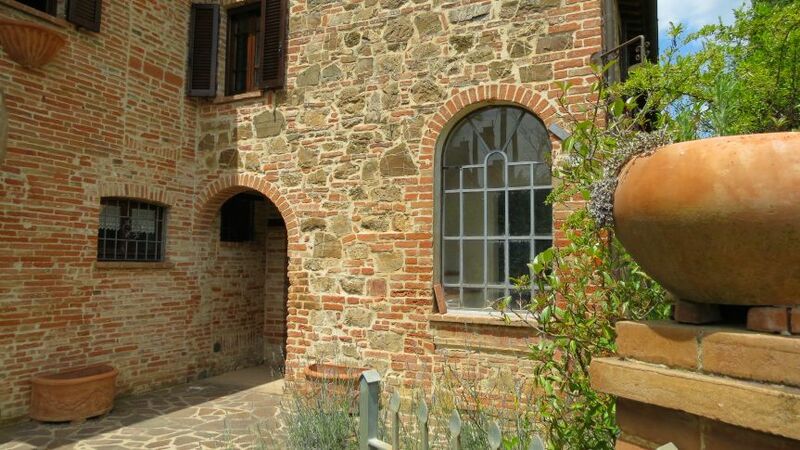 Given the beautiful location near the lakes of Chiusi, Trasimeno and Montepulciano and interesting cities, there are also many cultural events often happening in the vicinities. 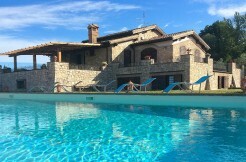 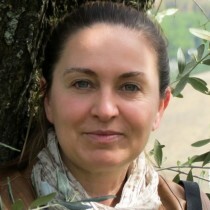 The most important events are Umbria Jazz that takes place in Perugia in July and in Orvieto in December, Trasimeno Blues in August, many hystorical events such as those in Siena and Sarteano. 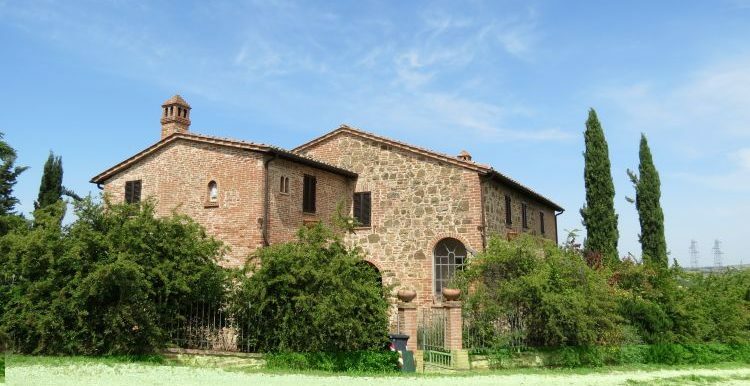 There are numerous Etruscan archaeological sites whose heritage can be admired in the Museo Nazionale Etrusco di Chiusi. 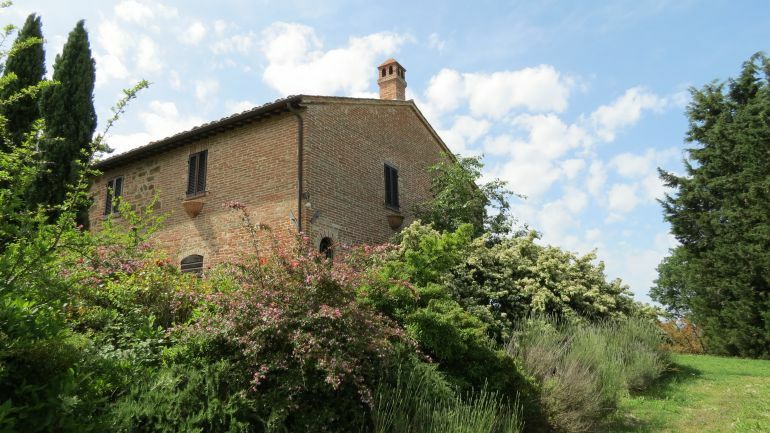 In the village of Villastrada there is a small supermarket and nearby towns such as Chiusi and Castiglione del Lago offer all services.